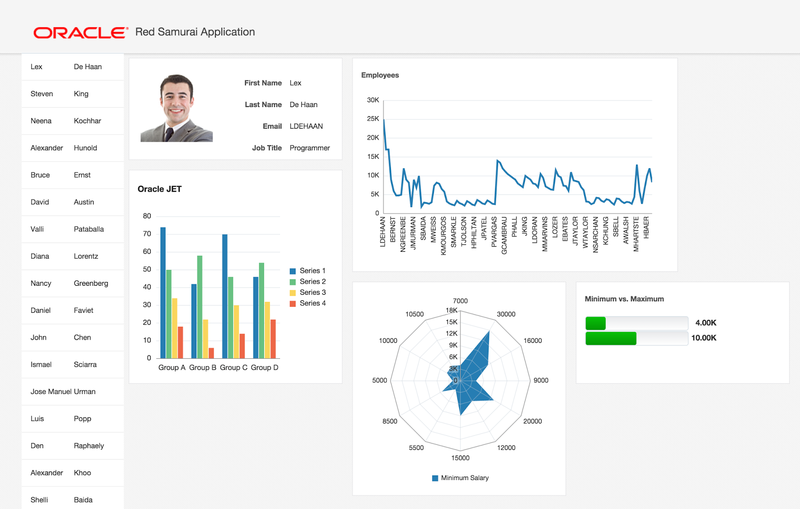 In my previous post I have shared basic example for Oracle JET integration into ADF - Oracle JET and ADF Faces Integration in ADF. 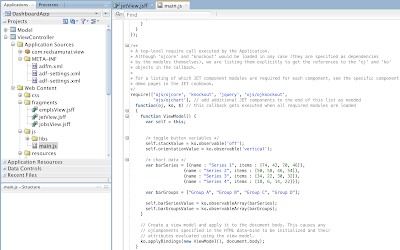 Today I would like to share a bit more than that - integration pattern with ADF Regions. 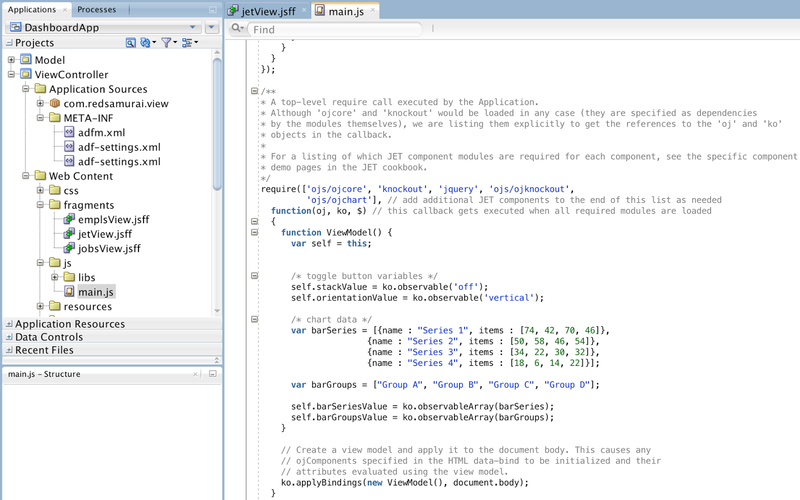 This approach would allow to use JET functionality within ADF environment and leverage ADF reusability. Read update for this post - Improved JET Rendering in ADF. 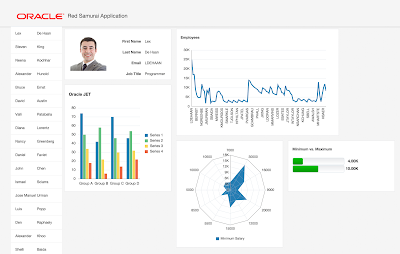 Thanks for sharing the details of ADF-Oracle JET integration. I would like to check if an ADF content can be rendered on a JET page. Is there any component in JET that can embed third party UI content (ADF in my case). Can you please provide some pointers. I dont think this is possible. 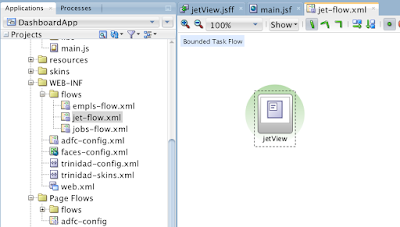 JET is Java Script, ADF Faces is JSF. ADF can not be included in a JET page. As Andrejus points out, JET is a pure client-side framework. It doesn't have a requirement to run on a server at all. ADF is a server-side framework and needs the pages need to be generated on the server before they are sent to the client. 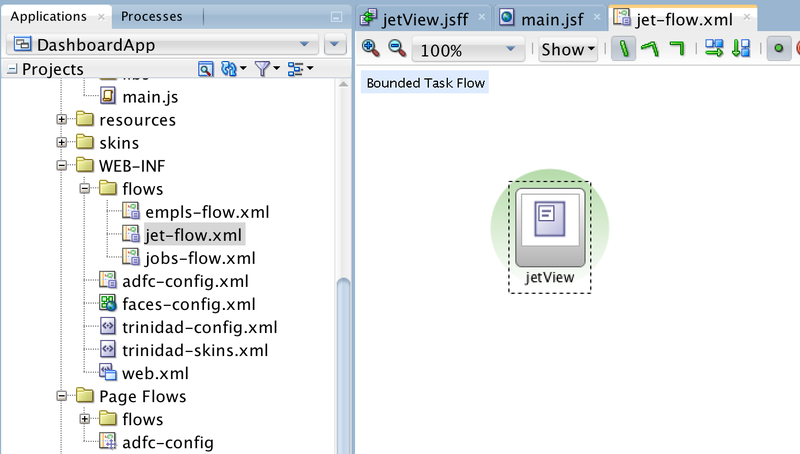 Thats interesting, we were trying to exactly that - embed an ADF task flow in JET. Are there any callback hooks in Jet that would allow us to push this to the client side? I note if you resize the page a few times causing the Jet region to be re-positioned, it blanks. Interesting, I wonder if one must somehow force a region refresh in this case. Note I also tried placing a Jet region in a tabbed panel. The Jet region displays correctly, however also blanks when switching to another tab and back. Any ideas? JET region blanks - this means ADF is executing PPR request and HTML structure is changed. Each time when PPR is executed, you should re-apply JET context. I was doing this in one of the apps, hopefully will post example soon.